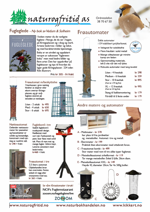 Helmguiden, Robins and Chats, beskriver alle verdens 170 arter småtroster og steinskvetter. Mange av dem svært fargerike og svært iøyenfallende. Fra vårt område nattergaler, rødstrupe, blåstrupe, blåstjert,rødstjerter,steinskvetter, buskskvett og svartstrupe. I denne gruppen finnes også mange potensielle rariteter for Norge. This authoritative handbook, part of the Helm Identification Guides series, looks in detail at the world's 170 species of robins and chats. This large family of small passerines was formerly considered to be part of the thrush family, Turdidae, but is now usually treated as a separate family, Muscicapidae, together with the Old World flycatchers. Robins and chats are a diverse family comprising both highly colorful and visible species, such as the robin-chats of Africa, as well as some of the most skulking and elusive birds, such as the shortwings of Asia. Many chats, such as the well-known Nightingale, are renowned songsters, and a good number are highly sought-after by world listers for their extreme rarity or simply because they are hard to see. This book discusses the identification and habits of these birds on a species-by-species basis, bringing together the very latest research, with accurate range maps, more than six hundred stunning color photographs that illustrate age and racial plumage differences, and sixty-four superb color plates by the internationally renowned artist Chris Rose. This authoritative and sumptuous book will be an essential purchase for all chat enthusiasts, and will become the standard reference on the subject for many years to come.